Love is in the air and so is air pollution. Air pollution affects not only our lungs, but studies show air pollution can also trigger heart attacks, strokes and worsen heart failure in those at risk. 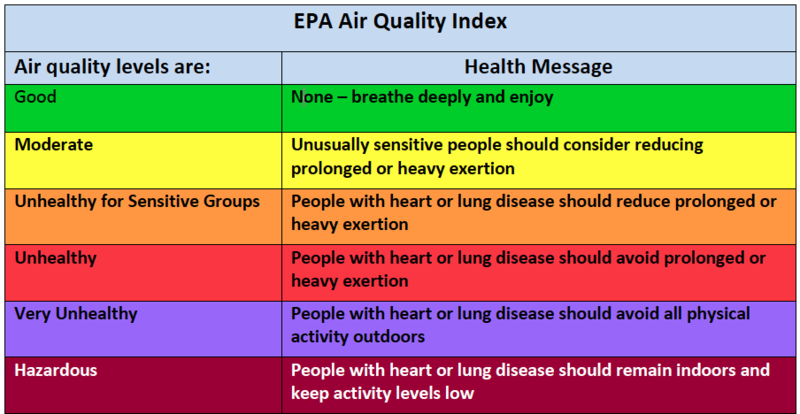 February is National Heart Month and Pima County Department of Environmental Quality (PDEQ) works daily to monitor air quality and educate the community on how to protect loved ones from health problems associated with air pollution. According to the Environmental Protection Agency, one in three Americans has heart or blood vessel disease and is at higher risk from air pollution. Air quality can be poor any time of the year, and can be especially problematic near busy roads, when smoke is in the air, when it is windy and during the summer when the weather is calm and clear. Sign up to receive ADEQ’s air quality forecasts. Below are some tips (adapted from the EPA’s “Healthy Heart Toolkit”) to be heart healthy and breathe easier. Love the air and keep it healthy.